Can Google Me take over from Facebook? Google, it seems, is about to announce a Facebook competitor: Google Me. If you're thinking we've been here before, you're right: Google dipped its toes in the social networking water when it acquired Orkut, and when it made a mess of launching Buzz. Third time lucky? Maybe! 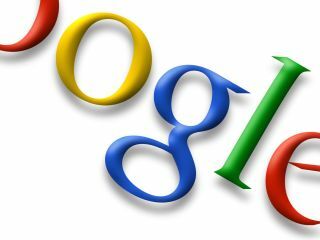 Here's how Google can win a social networking war. Profiles feels half-finished at the moment, with half-hearted social network integration and a bit of Reader article sharing. They could be much more useful, integrating all your social activities in a profile that turns up at the top of search results when you Google somebody's name. Buzz suffered a PR nightmare, but as a tool it's quite nifty and a credible rival to Facebook's News Feed and Twitter's status updates – and unlike Facebook, you don't need someone's permission to follow them. It's also got 200 million potential users in the form of Gmail account holders. Millions of Brazilians, in fact: Orkut is a huge deal in Brazil and in India, which just happen to be two of the BRIC (Brazil, Russia, India and China) nations where pundits expect serious growth of online services. BRIC nations are a key target for Facebook (and other big firms, such as Yahoo), and with Orkut Google already has some impressive numbers. Whatever it does needs to work inside Orkut or be so appealing that Orkut users will migrate. Well, the creators of Mafia Wars, and Farmville, and all the other apps that pollute our Facebook feeds: they might be annoying, but in traffic terms they're stickier than Sticky Mick The Sticky Stick. When you think about it, Google has all the things you might want a social network to do. Location awareness? Latitude. Photo sharing? Picasa. Video? YouTube. Document sharing? Docs. And so on. Remember Begbie, the moustachioed psychopath from Trainspotting? He's the embodiment of "with friends like these, who needs enemies?" One of the reasons Buzz went so wrong was that Googlers don't seem to have crazy people like that in their past or present, so they don't need to worry about privacy too much. Everyone involved in Google's social network activities should be issued with a full complement of bunny-boiling exes, nosey bosses, boggle-eyed stalkers and flat-out nutcases so they understand the importance of privacy controls. Google could make the anti-Facebook, with sharing controls that are opt-in rather than opt-out, the ability to delete your data easily and permanently and the ability to export some or all of your posted items to your computer or to other online services. And then it could go on and on and on about it. It's a strategy that's already worked for the firm: even your Gran probably knows that Android is a more open platform than Apple's iOS. Google stuff is clever. It's rarely pretty. Whether taken out of context or not, Eric Schmidt's "if you've something to hide, don't do it online" comments to CNBC don't exactly make you want to give him all your personal data. Particularly when he looks like he owns pants made from human skin.